The Dialogue Resource Team consists of Mennonite professionals within Mountain States Conference called to the ministry of reconciliation as it relates to conference and congregational life. Currently five persons have been affirmed by conference leadership as part of the team. The goal of the Dialogue Resource Team is to provide resources and encouragement to congregations challenged by difficult internal conflict or change; or desiring education on conflict resolution. Jeff Newcomer Miller is a member of Albuquerque Mennonite Church. His career has flowed between the religious, educational, and peace and justice communities. He has extensive experience in mediation in a variety of settings. Alice Price is an attorney and member of Anabaptist Fellowship of Alamosa. She has been practicing mediation for 30 years. 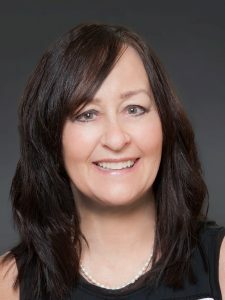 She helped found the Center for Restorative Programs in Alamosa, a youth and family-serving agency offering a variety of restorative justice programs in juvenile justice, school, community and family arenas. Jill Schmidt attends First Mennonite Church in Denver. She is an admissions representative with Colorado Mountain College and an instructor for The Conflict Center in Denver. She has a Masters of Social Work and teaches classes and workshops on communication skills and conflict management. 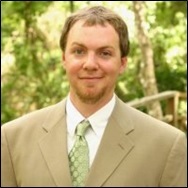 Duncan Smith is a member of Glennon Heights Mennonite Church. He is Director of The Corinthian Plan providing health care access for pastors and church workers in Mennonite Church USA. He is a veteran pastor/conference minister and professional mediator with experience in organizational development. 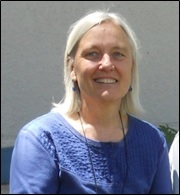 Mary E. Gardner is a member of Mountain Community Church in Palmer Lake Colorado. She has 36 years of professional experience in the field of water quality and wastewater. She is recently retired and is pursuing her passion in mediation and facilitation. She has been volunteering with Jefferson County Small Claims court and other civil cases which come to Jefferson County with request for mediation. She is certified in mediation, conflict coaching and facilitation with community/police relations matters. Trainings might be done as a primary focus at conference-wide gatherings, in regional congregational clusters, or at the request of a congregation. Early intervention could take the form of telephone consultations and coaching for leaders anticipating hard decisions. If a congregation finds itself thrust unexpectedly into a conflict situation or needs extra help with a highly charged issue, a trained facilitator from outside the situation may be needed to come on-site to help plan and keep a sound process on track. If DRT members have a conflict-of-interest or otherwise do not have the capacity to respond to a conference- or congregation-level need, an effort will be made to identify alternative faith-based resources. For conflicts that are primarily interpersonal, rather than systemic, the DRT can help congregational leaders identify members of its team or other community resources that offer private mediation services. Fee guidelines are available from the Conference Ministry Team. Costs should not be a barrier. If they are not available, contact Ken Gingerich, Conference Moderator, via e-mail at KenG@mountainstatesmc.org or by phone at (505) 264-2618.